The aunt of a man killed in a North Sea helicopter crash has more than £3,000 for charity by selling remembrance candles. 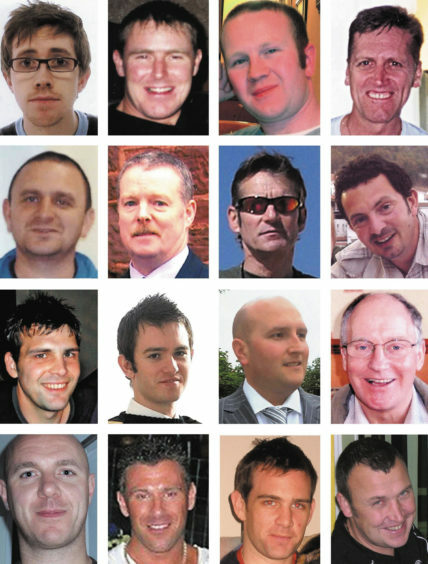 Stuart Wood and 15 others died when the Super Puma they were on crashed off the coast of Peterhead on April 1, 2009. Ahead of the 10th anniversary, his aunt Karen Ritchie decided to make and sell candles as a tribute to the lives lost. She has shipped 300 candles to people all over the UK, raising vital cash for the RNLI. Mrs Ritchie, from Portknockie, said: “I thought we would maybe sell 100, but the response in just a few days has been phenomenal. We have already sold 300, and will probably make more. “My sister Audrey has been campaigning and fundraising for a number of years and has raised an amazing amount of money. “But I just wanted to do something that I enjoy doing – I didn’t think they would be this popular – I thought it would just be local folk buying them. Since the disaster, Mr Wood’s mother Audrey Wood has led a major fundraising campaign for the lifeboat charity. On March 23, she will host the annual sold-out ladies day at the Douglas Hotel. 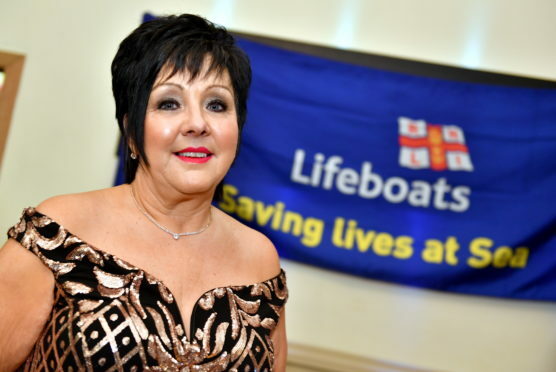 Margaret Farquhar, chairwoman of the Aberdeen branch of the RNLI, said: “Audrey Wood – indeed her entire family – have become fund-raising legends for the RNLI in North East Scotland. The victims of the April 1 tragedy were: Brian Barkley, 30; James Costello, 24; Alex Dallas, 62; and Vernon Elrick, 41, all of Aberdeen; Mr Wood, 27, of Newmachar; Warren Mitchell, 38, of Oldmeldrum; Leslie Taylor, 41, of Kintore; and Paul Burnham, 31, of Methlick. Also killed were Raymond Doyle, 57, of Cumbernauld; James Edwards, 33, of Liverpool; Nairn Ferrier, 40, of Dundee; Nolan Goble, 34, of Norwich; Gareth Hughes, 53, of Angus; David Rae, 63, of Dumfries; Richard Menzies, 24, of Droitwich Spa and Mihails Zuravskis, 39, of Latvia.